Art Prints, T-shirts & More! 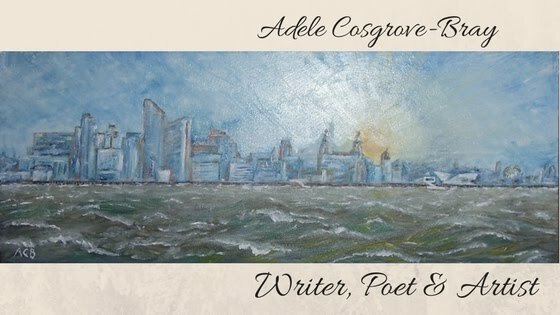 Adele Cosgrove-Bray is a writer, poet and artist. Her Artisan-Sorcerer novels have drawn an impressive cult following. 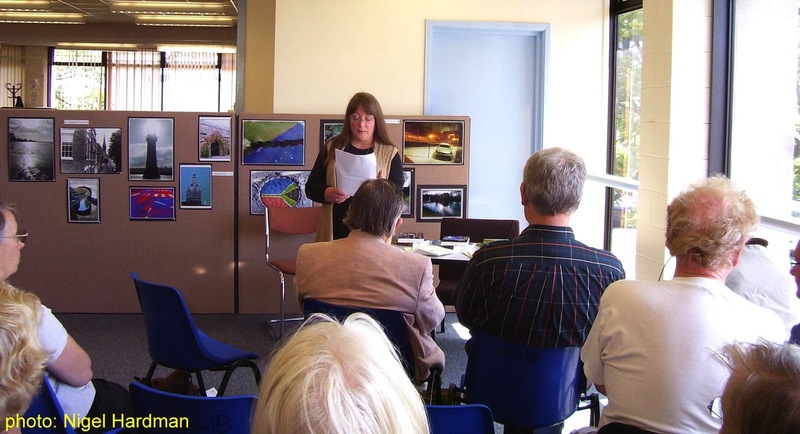 Her other activities include photography, gardening and walking with her dogs through the ancient woodlands of the Wirral peninsula where she lives. She became a member of the Cryonics Institute in 2008. 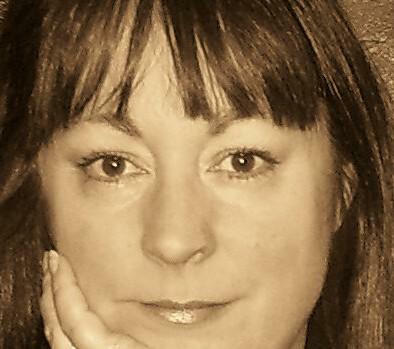 Adele's work has been published traditionally in magazines and anthologies, and she has also explored self-publishing. 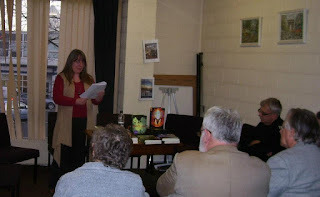 A full list of all her published work is here on Hubpages. 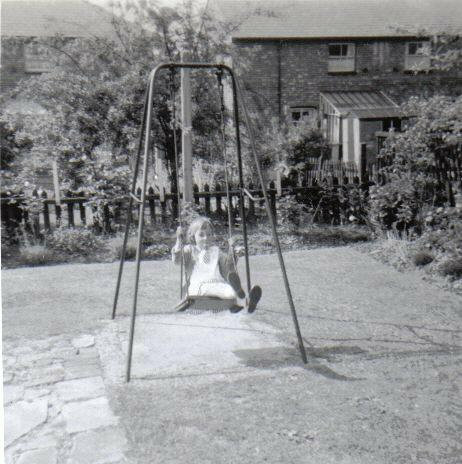 Adele on her beloved swing, in the garden at Newton-le-Willows. Adele Cosgrove-Bray was born in Knutsford, Cheshire, but before she was one year old her parents moved to Newton-le-Willows, Lancashire. The family moved again when Adele was eight years old, this time to Lowton in Lancashire. Adele was a quiet child who could read before she started infant school. She spent hours dressing her cats in baby clothes and pushing them round the garden in a toy pram. With her sister, she created countless RPG stories and cherished around a million paper dolls, all of whom had names, different characters and extensive wardrobes consisting mainly of ballgowns, school uniforms and ballet outfits. Sometimes they were dressed as cats. Hazel, Agnes Bray and Adele on holiday at Skegness. On her thirteenth birthday, Adele announced that she was going to be a rock singer. With two school pals, she formed a band. Between them they owned a kazoo and two guitars, one of which had a broken neck. This mercifully short-lived project evolved into a love of writing poetry. Adele was just seventeen when Pipes of Pan became the first magazine to publish one of her poems. The life studio at City College, Clarence Street, Liverpool. In her mid-twenties, Adele went to art school in Liverpool, studying drawing, fine art painting and design. She later went on to study pottery. (Use the menu above to view some of Adele's art). Adele has worked as a tarot card reader, a potter, a tour guide, a library assistant, a health promotion officer, a freelance columnist for new age magazines, and an activity co-ordinator in the care sector. She has lived in St Helens and various suburbs of Liverpool, including Aigburth - the home of her fictional Artisan-Sorcerers. She moved to West Kirby on the Wirral peninsula in 2000, and Chaired meetings for Riverside Writers from 2003 to 2015, when she resigned the post following her move to Oxton, Wirral, where she currently lives. She shares life with husband Richard, and two dogs who enjoy creating holes in the garden. When still in her teens, she met Thomas Joseph Walton, and intensely private - and therefore largely unknown - spiritual teacher with whom she remained in contact until his death on 11th March, 2008, despite her own philosophy having diverged from his. Some of her experiences can be read about in her poetry ebook, Entering the Grove. at West Kirby Library, Wirral. Other participants included Adrienne Odasso (Lost Books), Colin P Davies (Tall Tales on the Iron Horse), Tim Hulme, Carol Falaki (Birth in Suburbia) and Peter Caton (Josh: Hero)..
Other participants included Tim Hulme and Peter Caton (Josh: Hero). Other participants included Jon Mayhew (Mortlock), Mjke Wood, Tim Hulme and Peter Caton (Josh: Hero). Buy Adele's Books via this list! Adele Cosgrove-Bray's ebooks are available for libraries from Gardners' VLeBooks; Askews & Holts (A&H); OverDrive; Baker & Taylor's Axis 360, Odilo; Bibliotheca cloudLibrary; and Library Direct. Her paperbacks can be ordered direct from Amazon. (c) Adele Cosgrove-Bray 2010. All rights reserved. Simple theme. Powered by Blogger.